You are here: Home / Arts & Culture / March Monster Madness: Will Godzilla be the beast that beats them all? 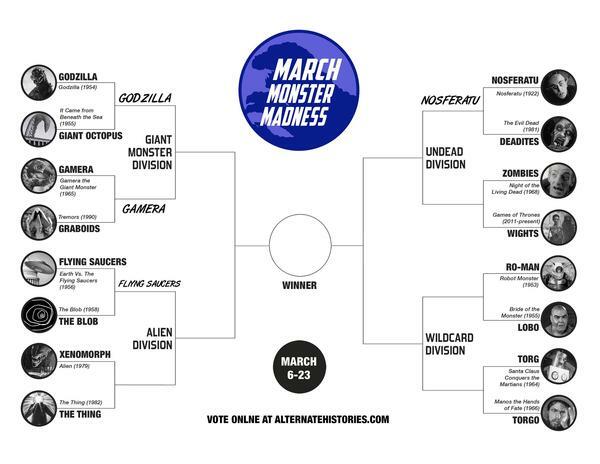 March Monster Madness: Will Godzilla be the beast that beats them all? If basketball isn’t your thing, there are some other interesting ways to join in on the March Madness craze this year. Pittsburgh artists and author, Matthew Buchholz, has been sharing monsters through his creative cards and prints which you may have spotted around town. Buchholz is bringing the big monsters to the bracket with March Monster Madness, a daily match-up of famous monsters and zombies face off each day to see who will move to the next round. Each weekday you can vote for the winner of each battle on the Alternate Histories website. Share your thoughts on your pick for the day and you could win a prize. Follow the March Monster Madness via Alternate Histories on Facebook and Twitter @AltHistories for updates on each battle. Interested in more monster history? Before Kellyanne Conaway introduced us to the concept of “alternative facts,” Buchholtz published a fictional history book Alternate Histories. 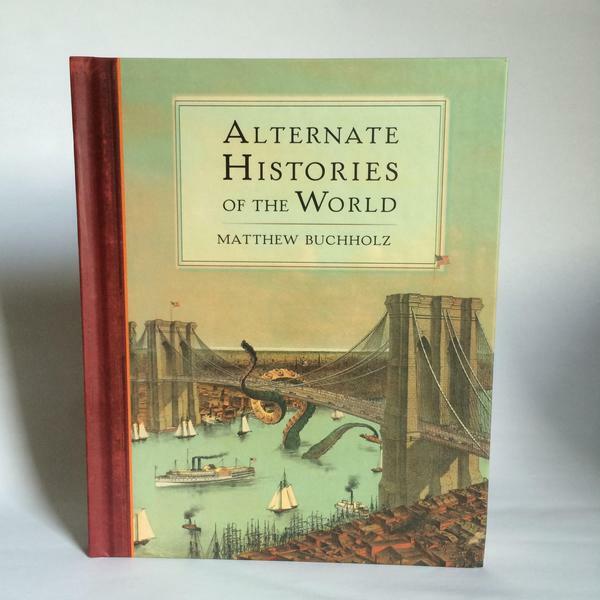 You can order a signed copy of Buchholz’s book from the Alternate Histories website. The book is also available at Wildcard in Lawrenceville and Amazon. Vote for your favorite fish fry in The Incline’s Fish Fry Bracket. Stop by Everyday Cafe in Homewood to submit your bracket before Thursday and you could win $25 gift card to the cafe. Looking for a way to try some of Pittsburgh’s many yoga studios? Download Zenrez and save big on last minute fitness class signups. Every night at 9pm, Zenrez posts classes for the following day at spinning, yoga and fitness studios around down at a discount. Click here to get $10 in free Zenrez credit. « Pittsburgh Fish Fry Season is Here!